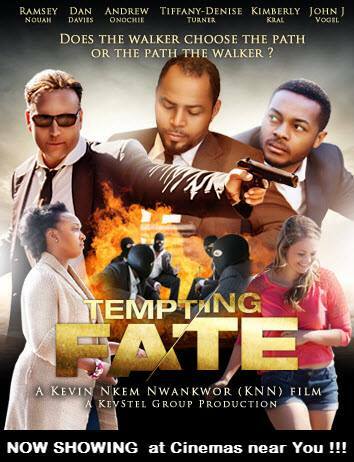 Tempting Fate is heading into its 5th week in theaters across Nigeria and Ghana and is still showing well—especially considering the stiff competition from the summer’s blockbuster movies. This week I’ve dedicated my time to giving my readers a new and exciting angle into this movie. Still showing after 4 weeks in Nigeria and Ghana. Let me start off by saying that Dan is nothing like the evil villain he portrays in Tempting Fate. I first met Dan via Facebook shortly after Pedro signed the contract to compose for the movie. Then we met face to face at the VIP screening in Houston last year. That was a whirlwind weekend, and regrettably with no time to connect outside of all the press attention. Dan Davies is a talented actor, screenwriter, and producer from Appleton, Wisconsin. 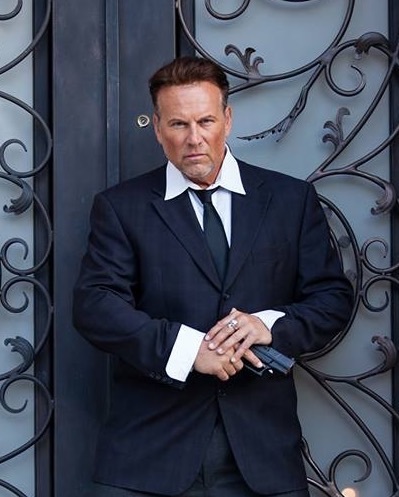 His credits span a variety of different media: national TV commercials, local television and radio programs, internet video production, and print modeling. He received the prestigious Platinum (2005) and Silver (2006) Remi awards for films at the International Houston Film Festival (World Fest). Dan even spent time as a competitive body builder in the 1990s. While Dan’s day to day work is in film promotions, marketing, procuring distribution and writing, his favorite work is when he can engage his creative juices in acting and screenwriting. To that end, Dan’s star is rising over Hollywood and Nollywood (the Nigerian entertainment industry). “I said, ‘No, I can’t, because I sound like Yakov Smirnoff, the comedian from the 1990s. I can do an Eastern European/Kazakh.’” Dan demonstrated his Kazakh accent to Kevin and the other producers listening in on the speaker phone. 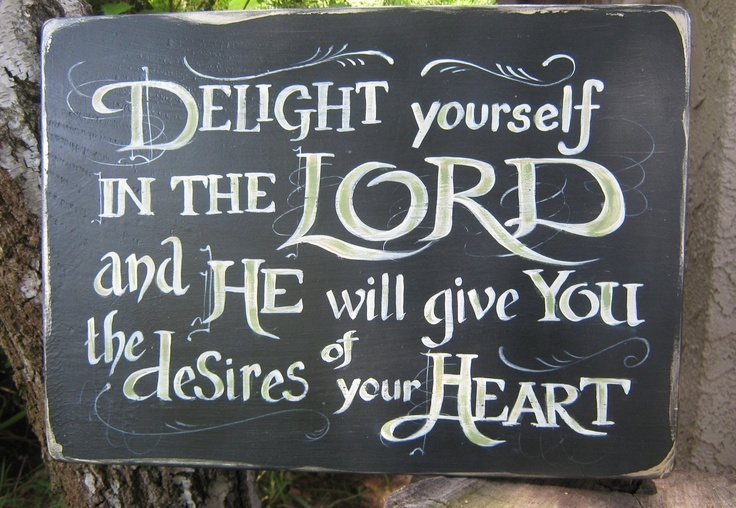 During the call with Kevin, Dan learned that the film had a real strong Christian message to it. In past interviews I had seen of Dan, he mentioned that working on the set of Tempting Fate was not like any other movie he had been a part of. What is Dan’s favorite type of work? 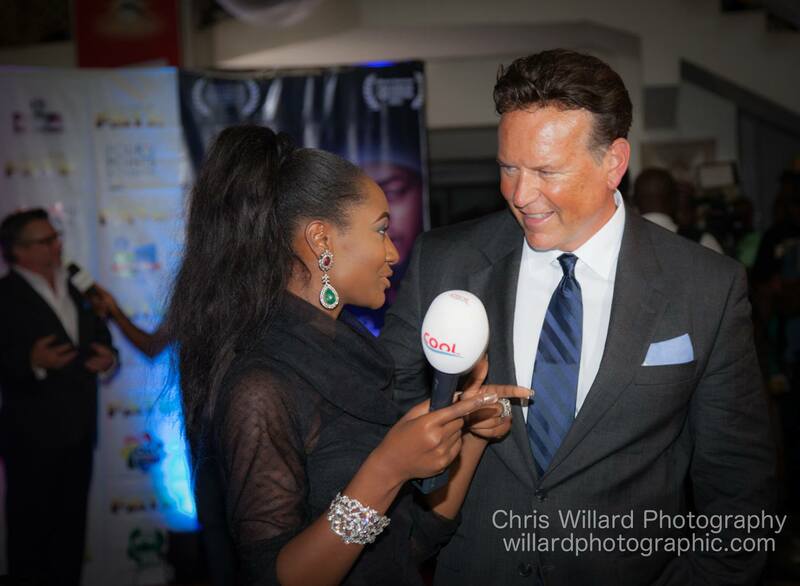 One of many press interviews on the red carpet at the Lagos premiere, July 10, 2015. As a Christian writer myself, I was interested in how Dan balances his faith while working in an industry that relies heavily on self-promotion. Unlike his big name Hollywood counterparts, Dan serves as his own agent, at least for now. He is always on the go getting the word out through social media about his projects and hustling for his next big break. Dan aspires to be like Fred Astaire, and not put any positive critic reviews on his mantle. I agreed with Dan how hard it is for Christians to separate ourselves from the media attention and the message that we want to convey. Dan went on to talk more about his current movies and projects. He was tight-lipped about some contract negotiations that were in the works with Non-Disclosure Agreements (NDA). Since then he announced a major movie deal. Tempting Fate also continues to be part of Dan’s future. 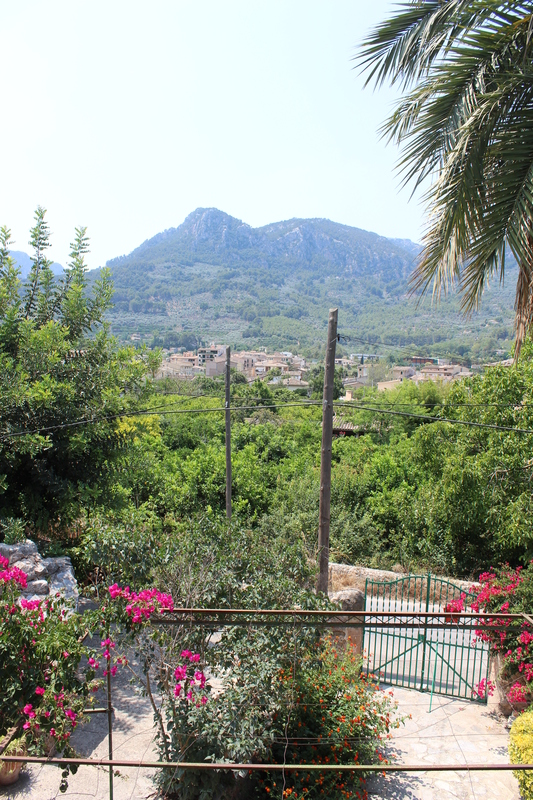 It’s been a long road to the theaters from the filming back in September 2013. That was followed by the VIP screening in Houston in July 2014. The original release of the movie was scheduled for April 2015 in Nigeria. The premiere was delayed to July 10, due to the uncertainty surrounding the Nigerian elections and the exchange of power. The premiere and release of the movie has been a great success in Nigeria and Ghana. There is speculation that the movie will be released in other English-speaking African countries. A normal progression for the movie would then be to go to England and Europe, Canada, building momentum, and eventually back to the U.S. When that happens, Dan and the entire cast and crew of Tempting Fate will be living their dream. Dan & Pedro at the VIP Screening in Houston, July 4, 2014. Knowing Dan’s story as I do now, I can honestly say that he has paid his dues and deserves this success. I’ve learned a lot about the film and music industry as I’ve collaborated with Pedro González Arbona these last few years. And now I can say that I’m also learning from Dan too, not just about ‘Hollywood,’ but about living life for Christ under the scrutiny of the media. I’m proud to call him a friend, and anticipate that audiences around the world will see more of his rising star in the film industry. Related Facebook links: Dan Davies, Tempting Fate, KevStel Group, Pedro González Arbona, and West of Thunder. Purchase Tempting Fate soundtrack at Amazon.com. *Update 7/22/2017: Dan Davies won the African Golden Movie Award for Best Supporting Actor in a Comedy Role for his portrayal of Tim Rice in “A Trip to Jamaica,” the sequel to “30 Days in Atlanta.” Dan was the first American to win this prestigious African award. Congratulations Dan!! 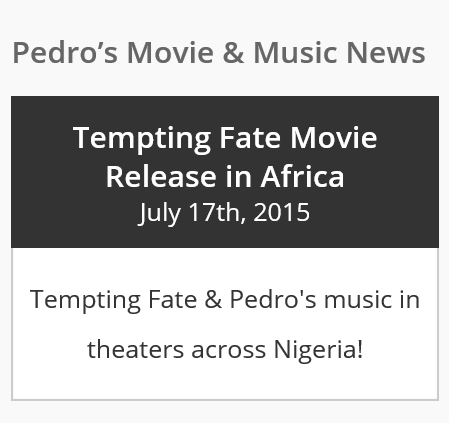 Today marks the theatrical release of Tempting Fate across Nigeria. It is a day I’ve been anticipating and praying for ever since Pedro González Arbona signed the contract to compose the movie soundtrack while we were together in Madrid two summers ago. Early last year while Pedro was in the final stages of synchronizing the music with the movie, Kevin Kwankwor, the film’s director, asked Pedro to write about the movie composing process. At that point, it was uncertain where the premiere would be held. There was talk of a Hollywood premiere and Pedro didn’t expect he could make that. The script below was to be recorded for showing at the Hollywood premiere. Pedro and I did attend the red carpet VIP screening in Houston last year. 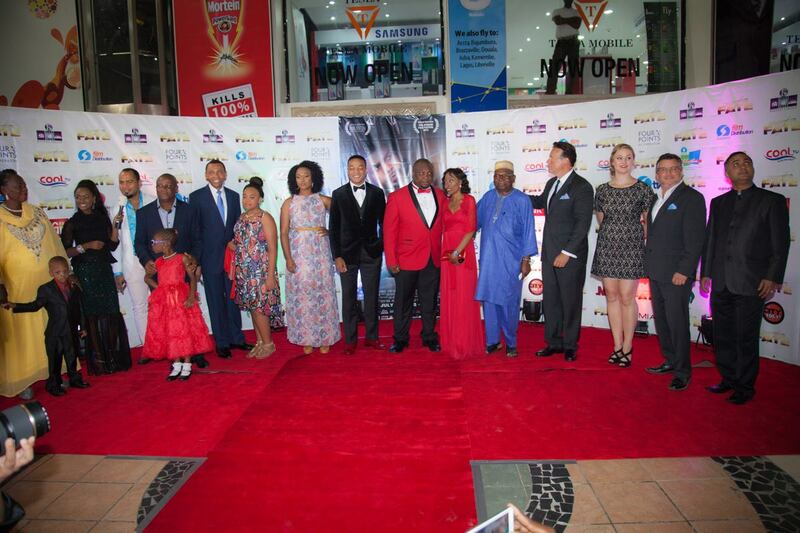 And last week was the premiere in Lagos, Nigeria with the major U.S. cast and crew and Nollywood star Ramsey Nouah. If Tempting Fate does well in Nigeria and Ghana, there is much hope that the movie will make its way through Europe and back to America for an official nationwide release. In the meantime, I’m sharing Pedro’s account of his work on Tempting Fate and his creative music process. I received the call from Kevin Kwankwor—producer, director, screenwriter, and CEO of KevStel Group LLC.—in the middle of July 2013. I was finishing the score of two short films, so it was the best time to start a new project. Kevin and I had some conversations about music in general, and the “Tempting Fate” project in particular. We connected very well from the beginning because we had the same approach to this story of a deep relationship between two brothers and how their different paths in life affect their destiny. Kevin showed me some classical music he had in mind when writing the screenplay and some instruments he wanted to use in the project. He told me they were shooting in September and wanted some of the tracks of the score to be done by then. That was just the beginning of an amazing process. In my opinion, there are four aspects that are needed in order to make a good film: a good screenplay, a good director, good acting, and a good score. When I started focusing my composing on cinema, I started realizing how important a good score is for a film. I actually think that music creates the magical environment needed for a film. Music is another kind of narration, apart from the screenplay and the visual narration made by the director. More importantly, music helps to tell the story with the intent of immersing the audience in the movie. What would the famous shower scene from “Psycho” be without the screeching strings by Bernard Herrmann? 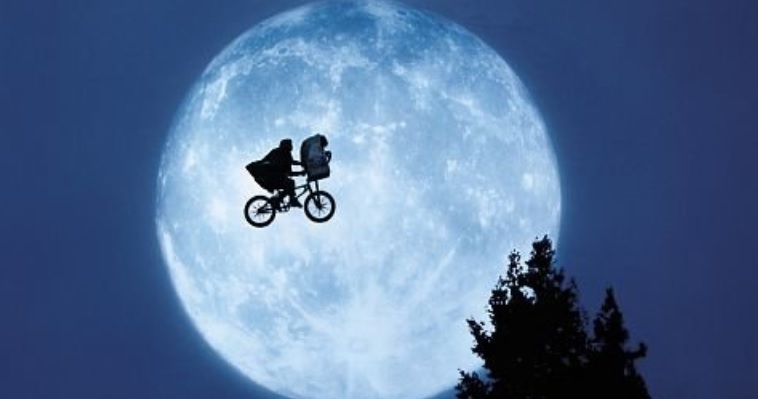 Or the scene from “ET” with the kids peddling their bicycles through the sky with the moon in the background, without the music by John Williams? Or the Hobbit´s Shire in “The Fellowship of the Ring” without the music by Howard Shore? I am sure you can imagine dozens of examples, and by then you will realize that those films would not be the same without that music. The question now is, what do you consider a good score? Well, there is not a perfect theory, but I usually consider two kinds of scores. On the one hand, are the composers who just use the music in the background of the film in order to create the perfect environment for the film. In these kinds of scores, the music is so well done that when the audience leaves the theater, they do not realize that they heard a score. Some examples could be amazing composers such as Thomas Newman or the Spanish composer, Alberto Iglesias. On the other hand, are the composers who use a lot of melodic music that goes directly to the mind of the viewer. Most of the “famous” composers are from this second group. But there is a big problem with this kind of music; they have to have caution in order not to distract the viewer from the film. And that is a very difficult task. Wonderful composers such as John Williams, Hans Zimmer, or James Horner are from this second group. The process of scoring all starts with the reading of the screenplay. 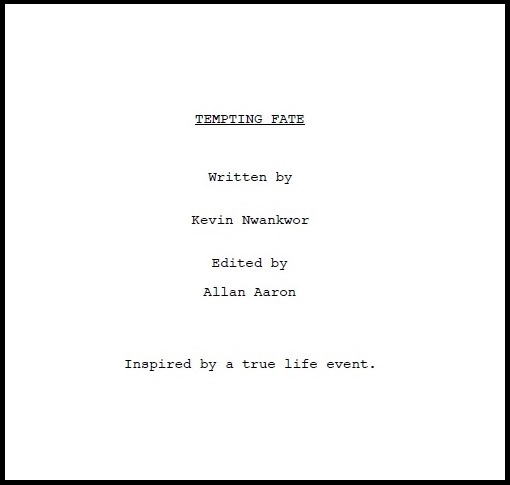 In the case of “Tempting Fate,” Kevin sent the screenplay to me after the contract was signed in late July. I read it three or four times in order to fully grasp the film´s message and get a feel for the characters. I took a lot of notes about what scenes needed music and what kind of music was needed. Then I start the composing process. Most composers start creating the score when they get the film, but I have always preferred to start the scoring even before the shooting starts. This makes the composing more fluid for me, and because it is better if the director has the music while shooting the film. This also allows the director to plan the film with the music in mind. I always write around two main themes, which usually are linked to the main characters. First was the “Love Theme”, about the love story between Edu and Tracy. For this theme I composed very melodic music with a violin solo and a piano in order to get a romantic melody that was going to be used in the most poignant moments of the film. Second was the “Brother´s Theme”, about the relationship between the two brothers, Ugo and Edu. I made different variations of this theme throughout the film, because of the different facets of their relationship. I used the guitar and clarinet in the good moments, the piano and the violin solo for the bad moments, and the woodwinds for the background scenes. “Tempting Fate” was shot in September 2013, and during that time Kevin and I continued to keep in touch. He told me very important details about the filming. With Kevin’s keen directorial insights and the screenplay in hand, I had lots of inspiration to compose the score. After the composing process was completed, and after I received the final edited version of the film, I started what I call the synchronizing process. This process consisted of comparing the music I created, with the scenes from the film, and deciding what music to use, what not to use, and how many changes were needed. Finally the time came for the recording process. As violin and piano were the main instruments in this score, professional violin and piano players were hired for the recording. A soprano, a guitarist, and a percussionist were also hired. It was so exciting to be at the recording studio and to see my compositions come to life thanks to them. So this is the end of this amazing project which involved so many different people from so many different countries such as Nigeria, India, Spain, and the United States. and my mother who expanded my musical knowledge so well and instilled my Christian beliefs. Congratulations to Pedro and the entire cast and crew of Tempting Fate. 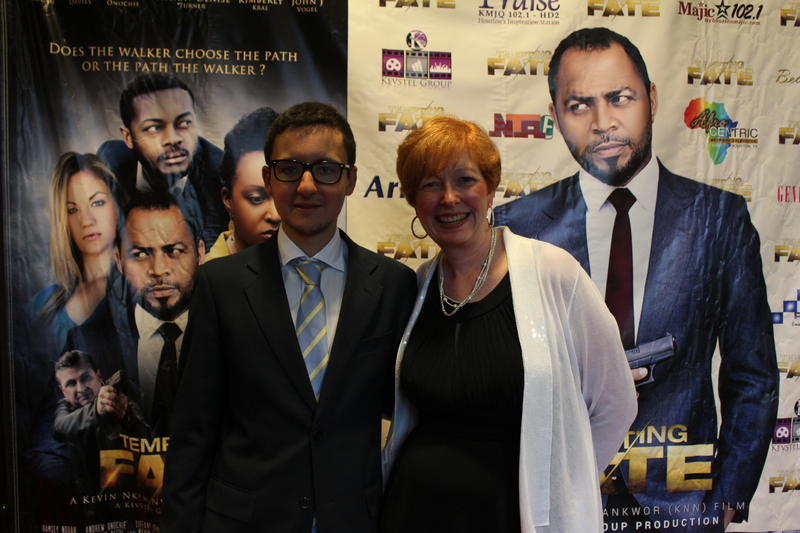 I am proud to support the release of this faith-based movie across Africa and beyond. 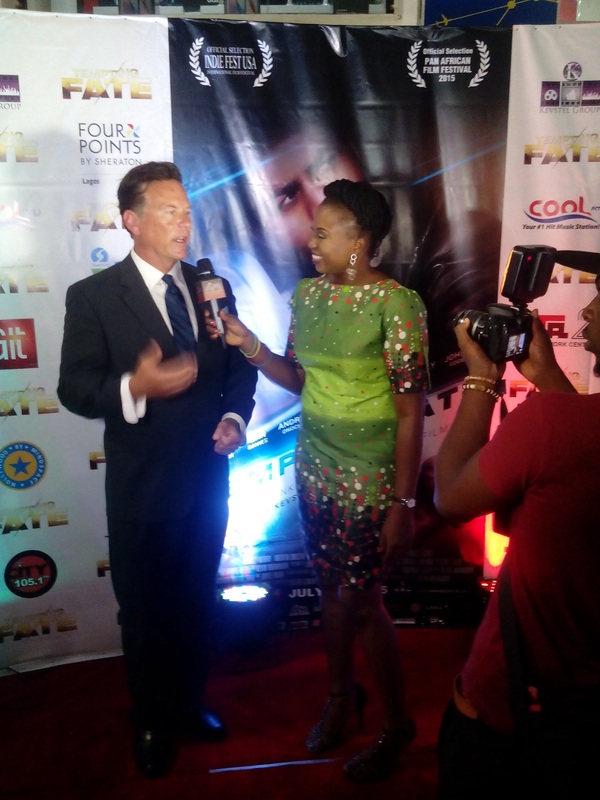 Below is a slideshow of images from the press tour and the Lagos premiere on July 10. Special thanks and credit goes to Chris Willard at willardphotographic.com and the Nigerian Press for use of many of these photos. For up-to-date information about Tempting Fate and to view more photos, check out the movie’s Facebook page. Stay tuned for more updates on Pedro’s musical pursuits, and an exclusive interview with co-star Dan Davies. He is nothing like Scorpion, the evil character he so convincingly portrays in the movie. It’s been many months since I last wrote about Pedro’s movie composing and the status of Tempting Fate, his first full-feature American film. 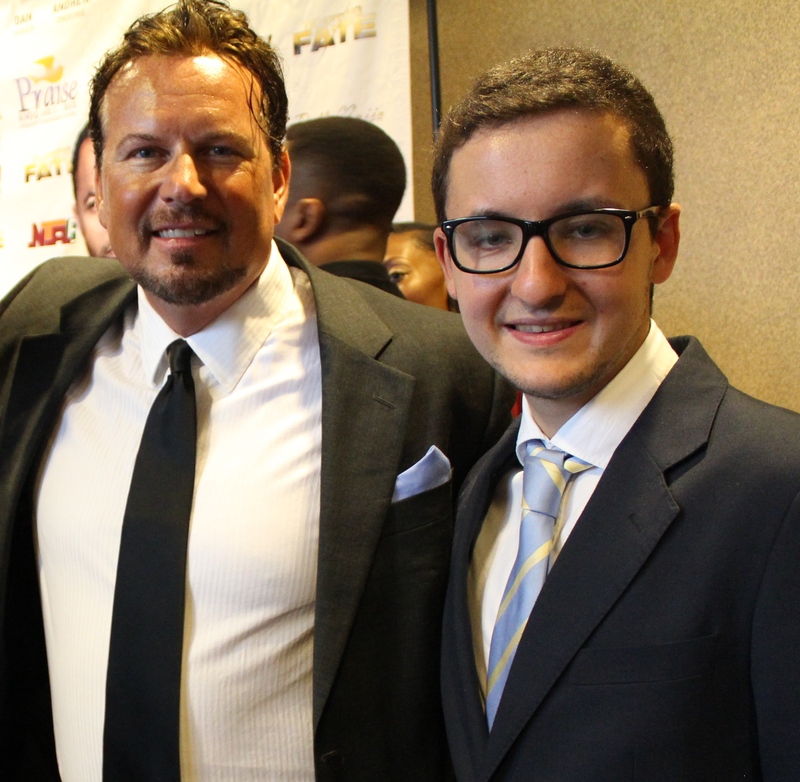 It’s hard to believe that we celebrated the 4th of July last year at the VIP screening of the movie in Houston. 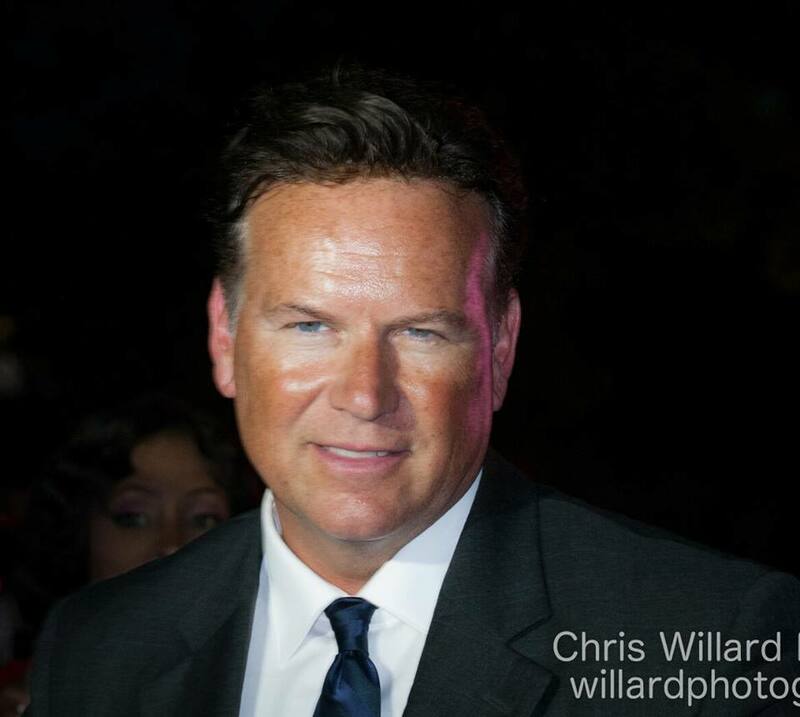 On the red carpet at the Tempting Fate premiere, July 4, 2014, Houston, TX. One year later, the film’s stars and key production crew have just arrived in Lagos, Nigeria for another very important premiere of this Christian movie (Friday, July 10, 2015). Although Pedro is not able to attend, we are no less interested in what is going on with this faith-based film across the world. We are counting down the days to its release across Nigeria (July 17) and Ghana (July 24). Only 9 days to go as of today’s publishing of this post. Momentum is building as positive media reviews are spreading across Nigeria. To date, the official movie trailer has over 30,000 views on youtube.com. The first music related production after the Houston premiere was the filming and release of a music video for the Tempting Fate theme song. This video was shot in LA, starring Andrew Onochie, who portrays Edu in the movie, and actress and singer Jacobed Melgarejo. The song is a blend of Igbo (Nigerian), English, and Spanish worship with words that echo the message of redemption and forgiveness, the overarching theme of the movie. Over the past year, we’ve watched and patiently waited while the movie made its rounds through some very prestigious film festivals. 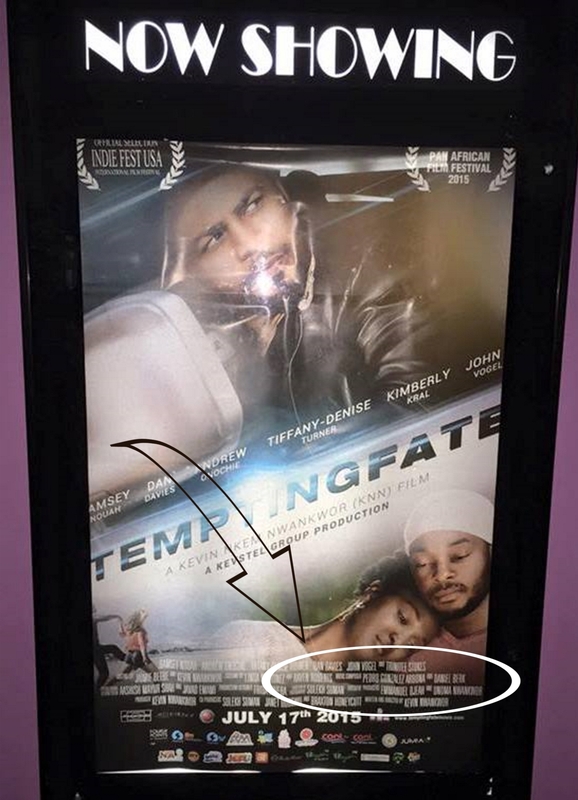 Tempting Fate was chosen to premiere at the Indie Fest USA International Film Festival last fall in Orange County, CA and also at the Pan African Film Festival (PAFF) in Hollywood, CA earlier this year. Rave reviews were shared by audiences at both festivals. 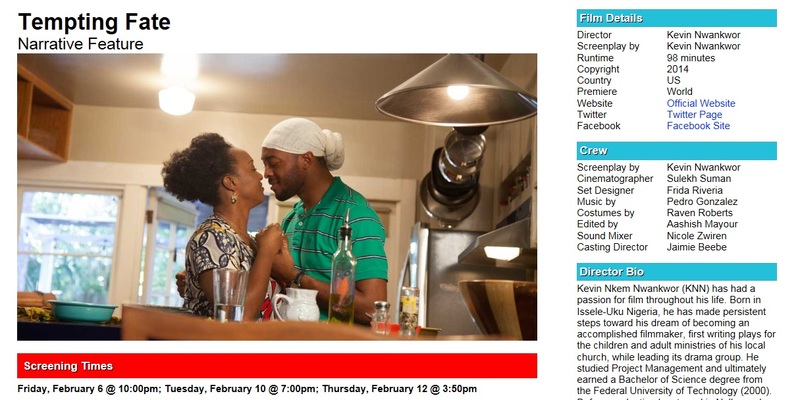 PAFF program information, February 2015. The movie soundtrack (available on iTunes, Amazon, Spotify, etc.) was released worldwide on February 12, 2015. In order to create the cross-cultural mix of music for the Nollywood (Nigeria)/Hollywood (US) film collaboration three composers were used on the project: Daniel Berg, Folorunso Obilana, and Pedro González Arbona. Click image to sample soundtrack or purchase on Amazon. The African songs with singing, including the “Tempting Fate” main theme song used in the music video, were composed by Folorunso Obilana. Daniel Berg’s music is purely orchestral. Pedro’s music is a combination of orchestral and African instrumental with some melodic voice additions. While the official CD soundtrack has 12 songs, there is much more music in the film, most of those songs were composed by Pedro. After seeing the movie at the premiere in Houston last summer, more music changes were made to the final cut. As is common in scoring for films, the composer doesn’t have a lot of input in the final cut of the movie. Even highly sought after Academy Award winning composers like Hans Zimmer have to swallow their pride when it comes to which music is used in their movies. Pedro composed over 80 minutes of music, but only a small fraction of that ended up in the movie or on the soundtrack. Pedro released some of that music on his latest CD, Memories. One such song not on the CD, but in the movie is “Brothers.” This song is used in one of the first scenes in the movie where the two main actors, Nigerian brothers, Edu and Ugo, are revealing to the audience the nature of their brotherly relationship and love. 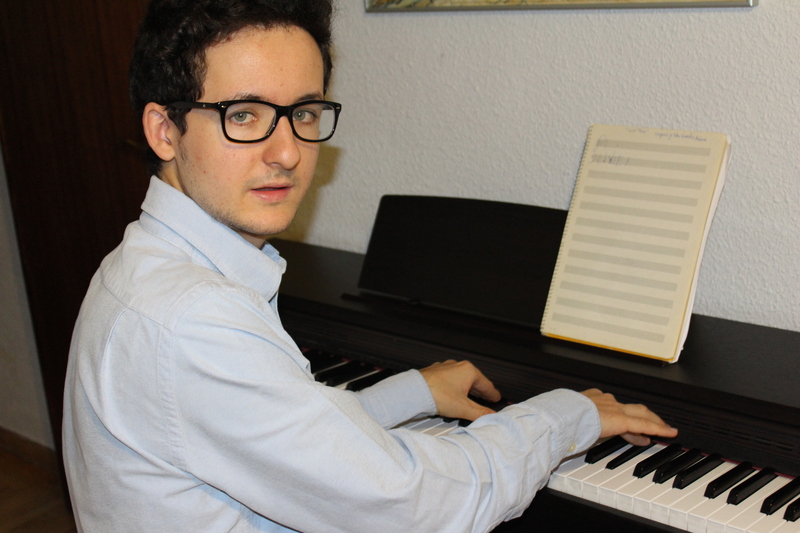 It is a beautiful song that I was privy to watch Pedro compose while in Madrid in July 2013. Pedro walked me through the composing process as he created this song. It was a very educational and magical moment to witness his creativity in action. The song went through a few revisions before settling on the version now in the movie. Since I work with Pedro, he gave me exclusive permission to share this song with my readers by clicking the ‘play’ button below. “Brothers” from “Tempting Fate” © 2015 Pedro González Arbona. One final music related note, last week during the media showing in Nigeria, the overriding comment was “not a dry eye in the house.” I won’t give away the ending of the movie, but suffice it to say that Pedro’s final song, “Requiem,” combined with the superb on-screen acting, gives the movie a lasting final impression. Memorable, moving, and touching, even for a crowd of seasoned movie critics. Listen for yourself and see if you agree. “Requiem” from “Tempting Fate” © 2015 Pedro González Arbona. Other reviewers commented on how the music strikes people as uniquely different. The music fits perfectly with the storyline and with the film. It fosters, helps, and propels the story along. 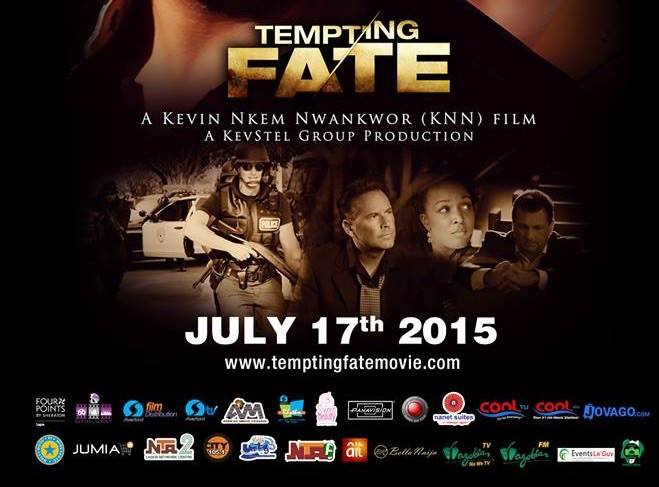 Tempting Fate is the directorial debut of Nigerian born Kevin Nwankwor. The mission of KevStel Group, Kevin’s Atlanta based production company, is to produce uplifting, Christian, and faith-based film and television projects. How can you help support this independent Christian movie outside of Nigeria? One way is to purchase the soundtrack. Another is by praying for its success. Nigeria is just the first stop for this movie with global appeal. With the premiere only days away, prayer is critical to the successful outreach of this film. The message of this movie is truly inspiring. If people get behind this movie and pray for it, there will be more films like this available for viewing. So please join me and others around the world who are praying for this movie. It’s not a coincidence that Pedro is associated with this inspirational faith-based movie. His music has been bathed in prayers since we met five years ago. It’s been a long road: from the antique and gutted out player piano in our home in the suburbs of Seattle, to his studio in the heart of Spain, and now to theaters across Africa. We are proud to be associated with this first class independent film. Congratulations to the cast and crew of Tempting Fate! May the message of this movie resonate with viewers in Nigeria and beyond. May your dreams for this film exceed your every expectation. *Special thanks to Dan Davies, who portrays Scorpion in Tempting Fate, for contributing to the content of this post.